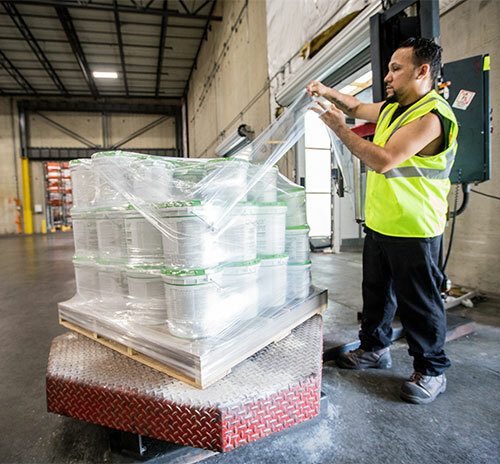 Our Assembly & Consolidation service provides a Northeast solution with all the predictability you need to prepare your shipments for the long-haul. Our extensive fleet provides same day pick up of all vendor shipments in the Northeast and our regional system ensures that we can respond to last-minute requests and unexpected emergencies. Pick up orders are processed at our centralized operations center the same day and assembled at the appropriate service center location that same night. Comprehensive reports provide shipment details, including your purchase order number and pallet count, which can also be automatically e-mailed to you on a daily basis. Our Assembly & Consolidation service also provides you with the most advanced mobile shipment tracking available to shippers. You can track the status of your shipment from the time it leaves your vendor's facility until final consolidation is complete.